We’re celebrating summer today through Monday the 31st with some cool Scottish love. Award-winning The Legend of Lady MacLaoch is FREE on Amazon Kindle! Be sure to share the love and tell your friends! Escape to the Highlands and find yourself in love with a modern day fairy tale, click here to go to Amazon. A legendary love, an unforgiving curse, and the discovery of a lifetime . . . Centuries ago a vengeful curse buried itself deep into the history of the MacLaoch clan and become a legendary tale told by all those not cursed by its words. In present-day Scotland, the laird and chief of the MacLaoch clan is an ex-Royal Air Force fighter pilot who has been past the gates of hell and returned a changed man. 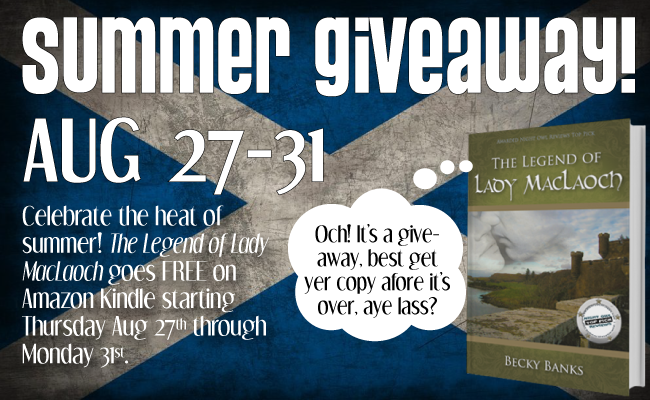 Rowan MacLaoch does battle with wartime memories and a family curse that threaten to consume him—unaware that his life and that of the history of the clan will be changed forever by the arrival of an American woman. Cole Baker, a feisty recent graduate of a master’s program, stumbles upon the ancient curse while researching her bloodlines. 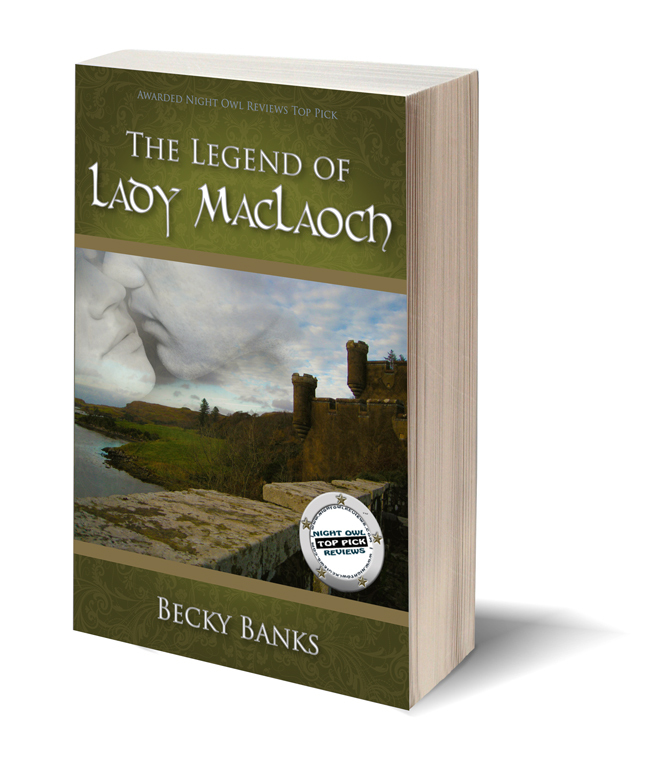 Moved by the history of the MacLaoch clan and the mystery of its chief, she digs into the legend that had been anything but quiet for centuries. On their quest for answers, Cole and Rowan travel to places they have never before been and become witnesses to things they have never before fathomed. The legend—one started with blood—will end with more shed as its creator finally exacts her justice.